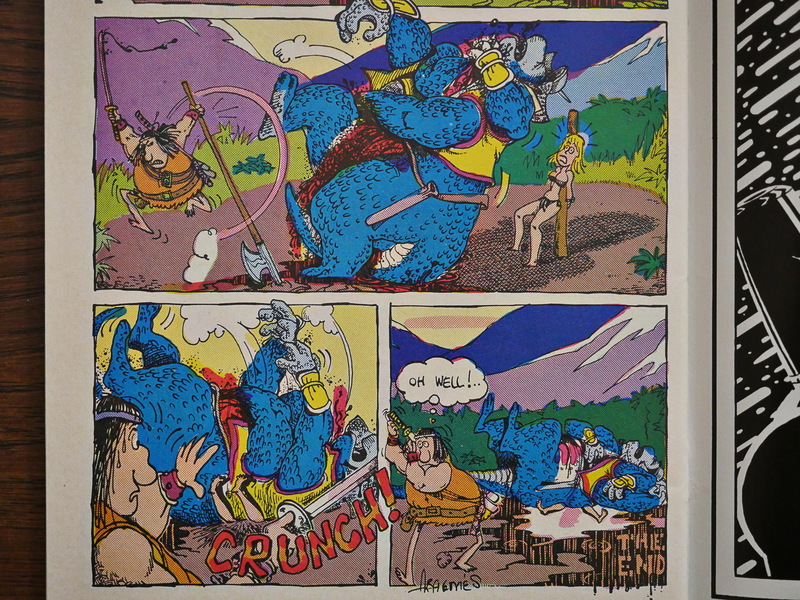 Groo Special (1984) #1 by Sergio Aragonés, Mark Evanier, et al. This comic marks the next phase of Eclipse’s history: The Pacific takeover. Pacific Comics was a comic book distributor that started its own line of comics. It was modelled after Eclipse, in some ways: Everything was printed on nice paper, everything was creator owned, and they had a similar emphasis on non-super-hero genre work. But with a more fantasy/horror slant, perhaps, and with bigger name creators, I think it’s fair to say. The distributor part lost huge amounts of money on one of the cyclic downturns in comics: There was a lot of comic book stores that simply stopped paying them when it came to crunch time. The comic book publishing division was still making money hand over fist, I think I remember the publisher saying. But the company went bankrupt with a large number of comics ready to go to the printer. Unless Eclipse paid a lot for these comics, this must have been a huge windfall for Eclipse; especially cash flow wise. 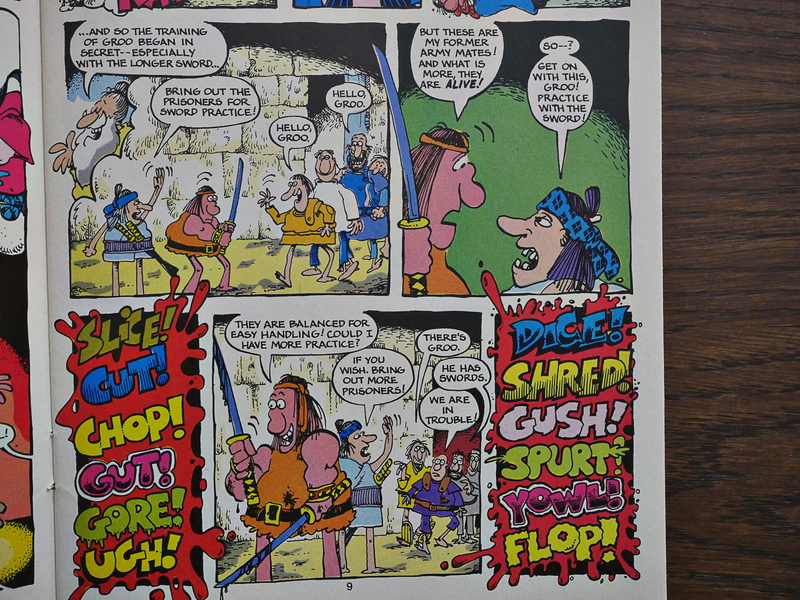 This Groo Special was out of the gates slightly ahead of the pack. 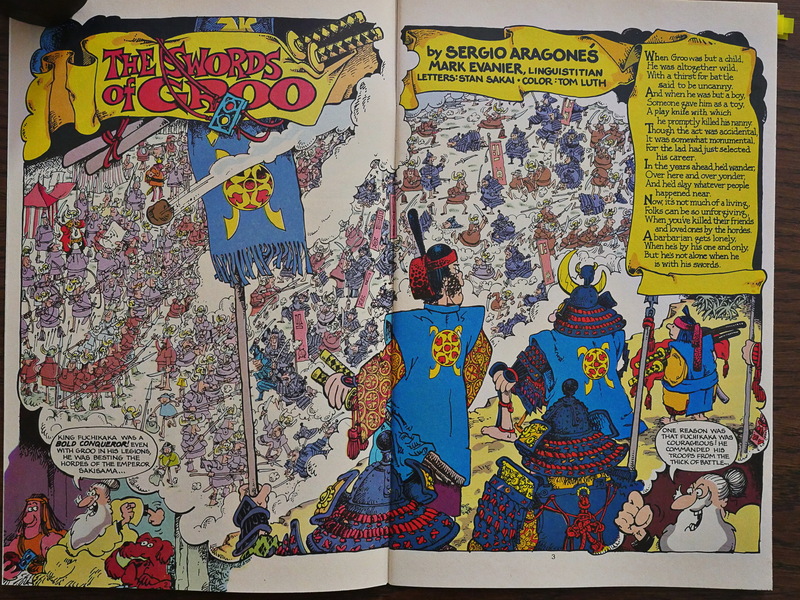 It’s kinda weird that this ended up at Eclipse at all, because Aragonés had already singed up with Marvel/Epic as the new home for Groo. Why they’d make a pit-stop at Eclipse with this special is a bit puzzling, but perhaps it was just more practical, what with Eclipse being around the corner from Pacific. 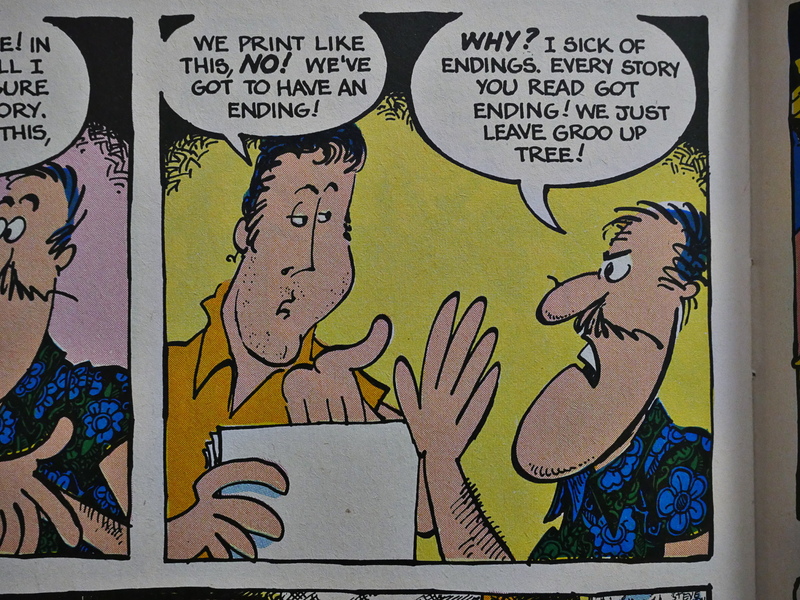 It’s fun to see that letterer Stan Sakai and colourist Tom Luth were with Aragonés even this early. I think they’re still doing these jobs to date. And Luth has so many itsy-bitsy things to colour. I was no fan of Groo as a tender teenager. I simply thought that all the carnage wasn’t all that funny. The prisoners are hacked to death, and that’s the joke. As a backup feature, we have an ostensibly old story (from 1977) with a newly created ending, but I don’t know whether that’s just a schtick and the entire thing is new. Or what. 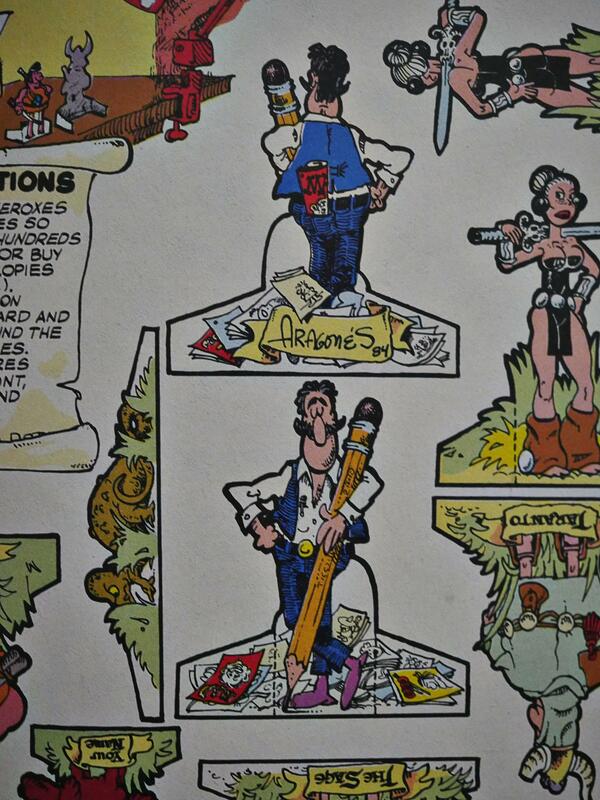 Then we get a few pages with these really nice cut-out paper figures. 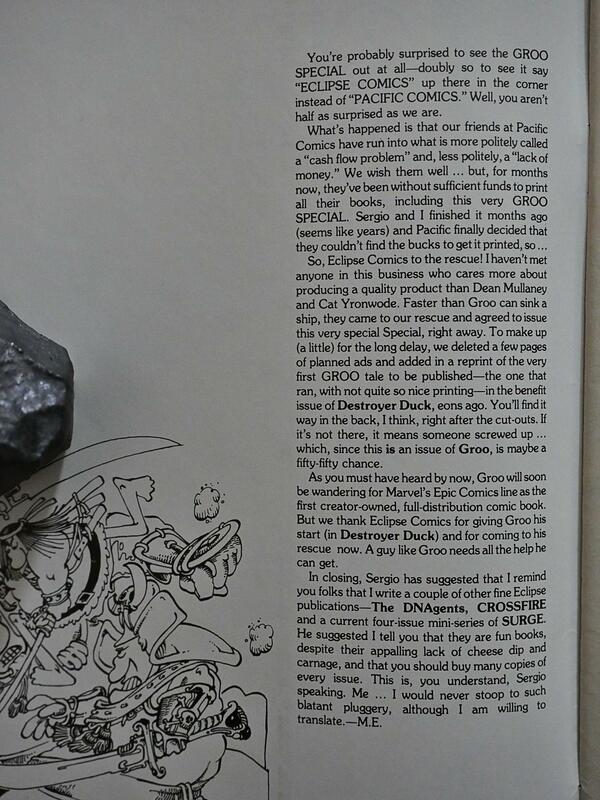 To round of the issue, we get a reprint of the Groo story from Destroyer Duck. It has apparently not been recoloured from its original appearance on newsprint, and the colouring looks a bit janky here on this nice, white paper. 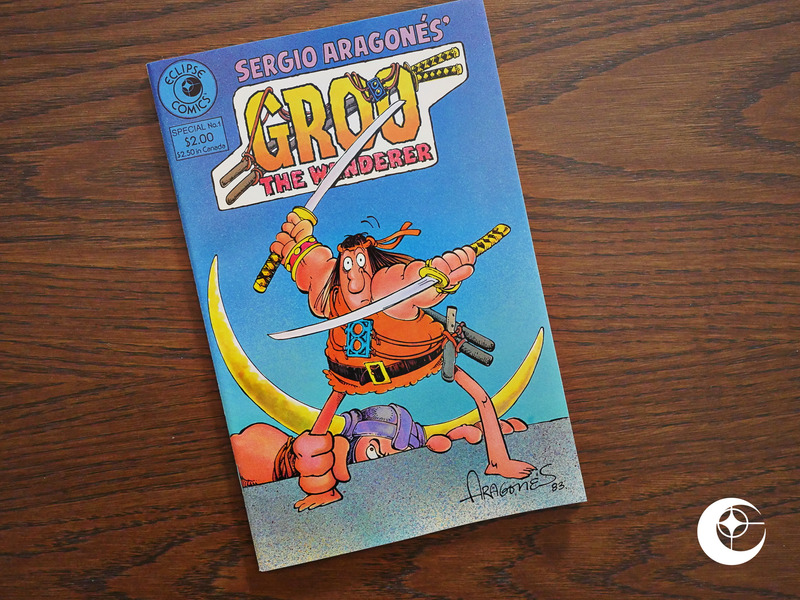 Aragonés and the gang are still publishing new Groo adventures, of which I have read almost none.